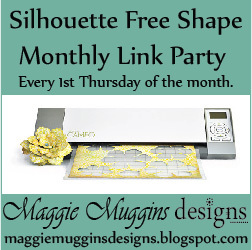 Maggie Muggins Designs: Silhouette Free Shape of the Week Linky Party Announcement! Such a great idea! I download the shapes and rarely do anything with them. I need the motivation. I'm in!